Meeting with farmers in Ratanpur, near Sehore, India. 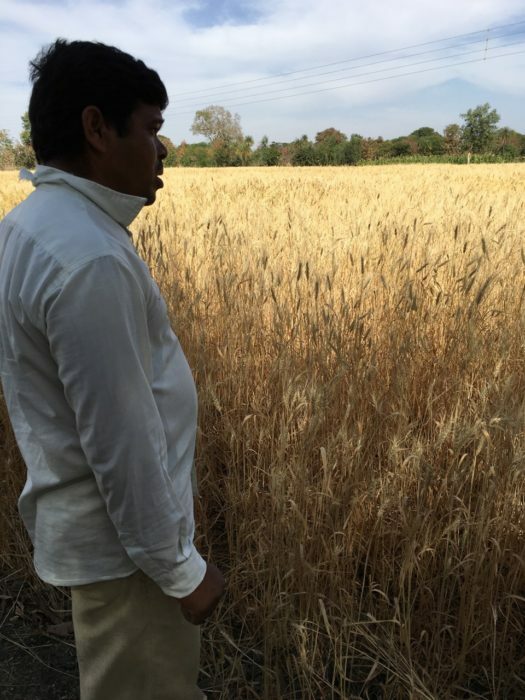 A farmer and his wheat crop in Ratanpur, near Sehore, India. 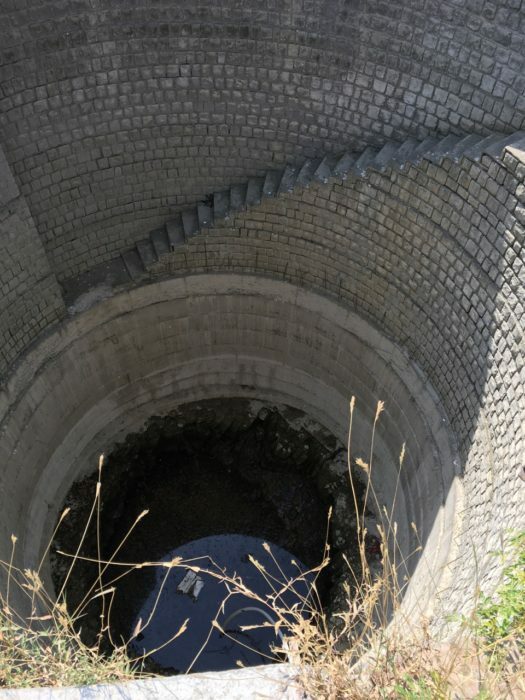 Open well used for irrigation – runs dry in 20 minutes. Farmers in Dhaturia, near Dewas, India, won an award for water resource management with their rainwater harvesting farm pond systems in 2007. Rainwater harvesting farm pond serves five hectares in Dhaturia, India. 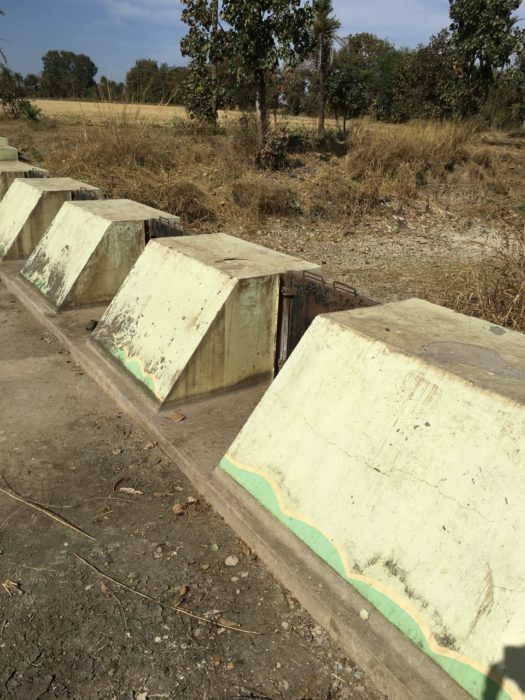 A check dam on a stream to harvest rainwater supported by ITC Limited. We refreshed our global water footprint in 2016 to better understand our physical water risks around the world. (Read more in our Global Responsibility Report). One of the watersheds we prioritized was the Ganges River in west-central India and the water risk associated with the intensive agriculture in the Madhya Pradesh state. Although we purchase a very small portion of the overall wheat crop grown there, we rely on it for products like Pillsbury Atta flour and Roti flatbreads. Recently, I made a trip to India to see it for myself and learn about how we can use our scale to have a greater impact. Together with The Nature Conservancy (TNC), we funded a deep-dive assessment into the issues in the region and how best to address them through collaboration and focused actions. 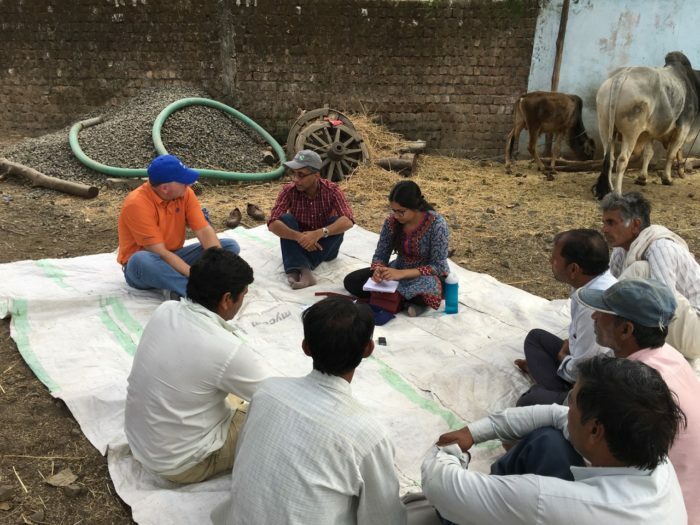 In late February, I caught up with Aditya Sood and Gunjan Gupta from TNC in Bhopal, as they launched the field analysis and interview phase of the assessment. From there, we travelled to the countryside of the Sehore, Dewas and Indore districts and visited several small villages, meeting with farmers along the way. They were very welcoming and eager to discuss their most pressing issues and explore opportunities. Most farmers in the Madhya Pradesh region grow two primary crops; a legume, like soybeans or lentils, planted in summer immediately prior to the monsoon season, and then a dry-land crop such as wheat or canola later in the year when there is limited rainfall. Compared to most farms we’ve visited throughout the world, farms in this region of India are very small. A farmer’s wealth is in the land which is handed down from generation to generation. One farmer we spoke with shared that his father had 40 acres and four children, thus he was given 10 acres to work and plans to split that between his children. The average farm size is about 2.5 to 5 hectares (approximately 5 to 10 acres). Comparatively, we also source large amounts of wheat grown in the U.S. where, according to the USDA, the typical farm in wheat growing states is more than 500 to 1,000 acres. 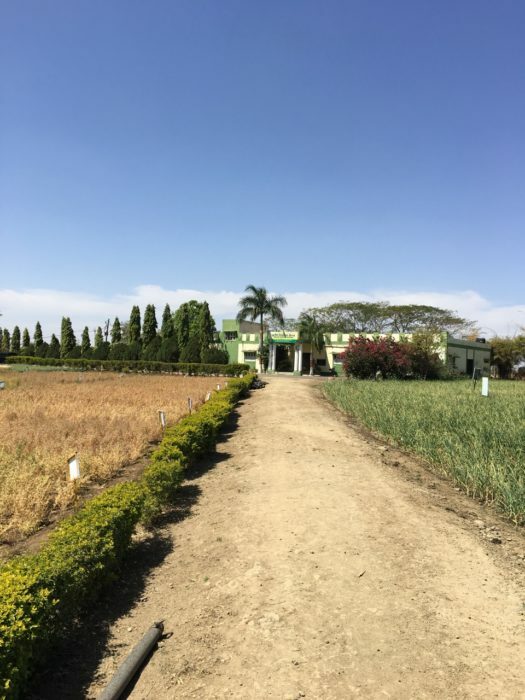 Our trip also included a visit to the Center for Rural Development and Environment’s Research Ag Facility (Krishi Vigyan Kendra, Sewania) in Sehore and reviewed some of the research and farmer outreach they are implementing throughout the region. On that particular day, they were training farmers on a range of activities to improve their operations. Training on how to best compost cow manure with crop residues, to what crop rotations and no-till farming can do for the soil in terms of nutrient management and water retention. They were also demonstrating different types of crops as well as irrigation systems that farmers could use to improve water efficiency. 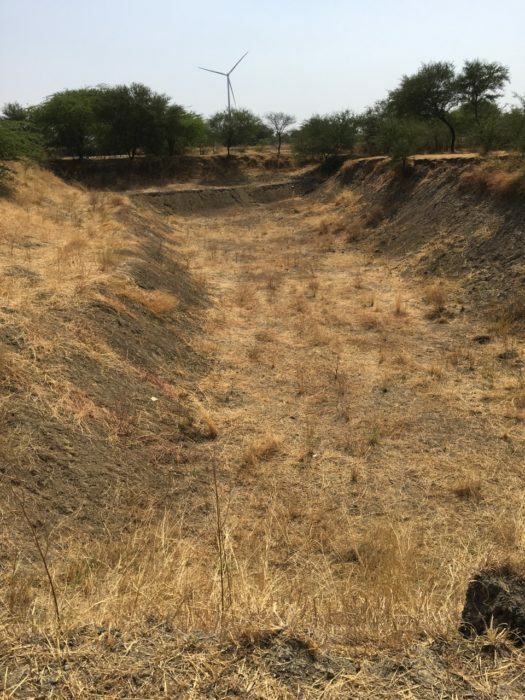 To say water is scarce in the region is an understatement and farmers were quick to voice their concerns that they have received less and less rain in the past 5 to 10 years. Farmers cannot only rely on soil moisture and need to irrigate to get adequate yields. It is not that these regions don’t get rain – they receive more than 1000 mm (39 inches) of annual rainfall in normal year – but almost 90 percent falls in the monsoons (from June to September). With existing water storage infrastructure and the lack of available groundwater, the farmers run out of water by January, although they harvest the wheat in March. These two months without water make all the difference in wheat yields across the region. Solutions have ranged from dug or tube wells, to farm ponds and even check dams on small streams. Many tube wells are 400 to 600 feet deep yet do not produce much water. Another scarcity in the areas we visited is electricity. It is only provided for a few hours each day to allow pumping, however that’s not the limiting factor, there’s just not much water in the wells to be efficient. A village we visited was successful in using farm ponds to store water to feed their second crop that is planted well after the rainy season. In fact, they showed us awards they had received from the federal groundwater agency for their innovation on rain water harvesting. Additionally, we toured the site of a check dam water harvesting structure that was built near one of the villages. Completely dry during our visit, we were told it fills during the monsoons and provides irrigation water for 21 farms nearby, serving 35 to 40 hectares. These 21 farmers convened and formed a council to help fund the construction and management of the check dam’s water. ITC Limited is a large Indian company that has been active through its Soil & Moisture Conservation Programme, contributing approximately $300,000 to projects, such as the check dam we visited. Additionally, we saw community agricultural equipment that ITC helped purchase for village farmers to share on their fields. The cost of this equipment is high, such that smallholder farmers cannot afford to purchase these implements themselves. 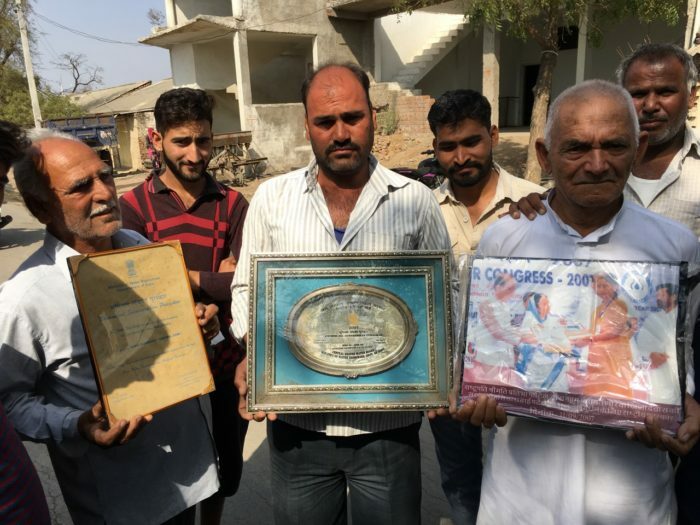 Local non-government organization Vibhavari, facilitated much of this work and assures the most critical success factor – cooperation amongst farmers to organize and share resources. Every farmer we interviewed said if they had more water, and better water management resources, their yields would improve and, in turn, their livelihoods. Wheat production and farmer livelihoods are being affected by water scarcity and mismanagement of water resources in the Ganges watershed. As part of General Mills’ ambition to “champion the development of water stewardship plans in our most material and at-risk watersheds by 2025,” and our commitments and actions that make us a CERES/WWF AgWater Steward, we are working to identify how we can help mitigate risk though action-oriented collaboration in India.